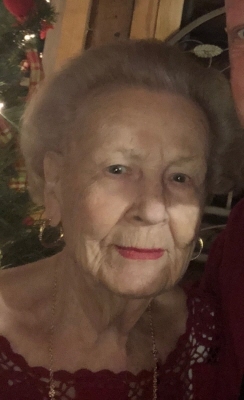 Kathleen Cothran Price, 90 of Aberdeen, passed away on February 4, 2019 at FirstHealth Hospice House in Pinehurst. Born on January 22, 1929 in Ashley Heights, NC to the late L.R. and Gertrude Cothran. Kathleen loved to work her entire life and happily retired in January of 2018. She worked over the years for the federal government, Health and Education Welfare and for over 30 years with H & R Block. She enjoyed in her free time traveling, reading, gardening and crossword puzzles. In addition to her parents, she was preceded in death by her husband, Jesse Floyd Price in 2005; and brothers and sisters, Ralph, Naomi, Elizabeth, Rudolph and Tiffany Cothran, Ruth Bobbitt and Marie Cook. She is survived by one son, Ronald C. Price (Jean) of Houston, TX and one daughter, Sandra Price of Austin, TX; one sister, Thelma Ham; also survived by five grandchildren, Kristan Price Lester (Doug), Scott Price (Ilana Becker), Jenna Price Mallette (Dan), Ben C. Turner and Matthew Price Turner (Dana); four great grandchildren, Charles, Miles, Henry and Harrison. A visitation will be held on Friday, February 8, 2019 from 9:30-10:30AM at Boles Funeral Home in Southern Pines with services following at 10:30AM. Interment at Pinelawn Cemetery. Memorial donations in Kathleen’s name may be made to Page Memorial UMC Scholarship Fund. To send flowers or a remembrance gift to the family of Kathleen Cothran Price, please visit our Tribute Store. "Email Address" would like to share the life celebration of Kathleen Cothran Price. Click on the "link" to go to share a favorite memory or leave a condolence message for the family.